Forest fire regimes are likely to experience considerable changes in the European Alps due to climatic changes. However, little is known about the recent regional fire history and the impact of local climate on the fire regime during the 20th century. We therefore reconstructed the fire history in a dry continental valley of the Swiss Alps (Valais) over the past 100 years based on documentary evidence, and investigated the relationship between the reconstructed fire regime and the local climatic variability. We compared the impact of temperature, precipitation, drought and dry foehn winds on fire frequency, extent of burnt area, and fire seasonality on various spatial and temporal scales. In the subalpine zone, the fire regime appears to have been mainly driven by temperature and precipitation, whereas these variables seem to have played only a secondary role in the colline–montane zones. Here, foehn winds and, probably, non-climatic factors seem to have been more important. Temperature and precipitation played a major role in shaping fire frequency and burnt area in the first half of the 20th century, but lost their importance during the second half. Our case study illustrates the occurrence of different fire regime patterns and their driving forces on small spatial scales (a few hundred square kilometers). 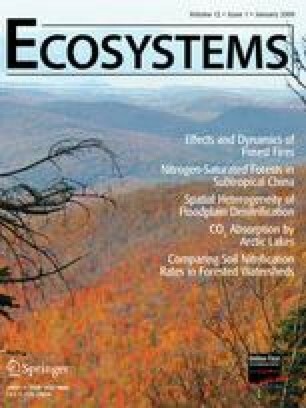 We conclude that the strong rise in temperature over the past century has not profoundly changed the fire regime in Valais, but in the second half of the 20th century temperature was no longer a strong determinant for forest fires as compared to human activities or biomass availability in forests. Author contributions: T.Z., H.B., M.C., and M.B. conceived of or designed study; T.Z. performed research and analyzed data; T.Z., H.B., M.C., and M.B. wrote the paper. This study was supported by the Swiss National Science Foundation (Grant No. 3100A0-108407/1). We thank the Forest Service of the Canton Valais and Urs Gimmi for making their data available to us, Silvia Dingwall for linguistic corrections, as well as Patricia Menéndez for her helpful advice in statistics. The constructive comments of three anonymous reviewers helped to improve the quality of this manuscript.